VERT is one of the most respected names in edibles. 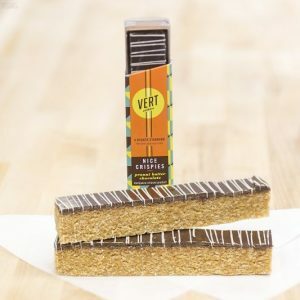 VERT Edibles (@vertunlimited) are chef-made and perfectly balanced. With so many edible choices on the market, how can you choose? Well, we happen to think there are three very important aspects of edibles, and VERT hits on all three. EDIBLES should taste great! Edibles have evolved along with the industry, and today's choices go way beyond the homemade 'weed brownie' of the past. While you can still find brownies, you'll also find so much more! VERT offers a range of chef-prepared goodies, like this Strawberry Shortcake delight! VERT's chefs (that's right, chefs!) are chosen for their culinary and cannabis experience. Using only experienced chefs and bakers gives VERT a level of quality that is hard to beat. Starting with the solid recipes is important. They spend a lot of time on R&D, perfecting a recipe before introducing it into their product line. They also use the best ingredients available. You'll taste the quality in each bite! EDIBLES should be fresh! There's nothing worse than getting a stale, crumbly edible, which is why VERT uses a two-step freshness protocol. Every VERT Edible is packaged to the highest food-grade standards. Step One is giving each individual product a freshness seal. Their baked goods are packaged immediately upon completion, locking in all that moist, fresh texture you'd expect from a fine edible. Step Two is proper storage. All VERT Edibles are refrigerated during storage. 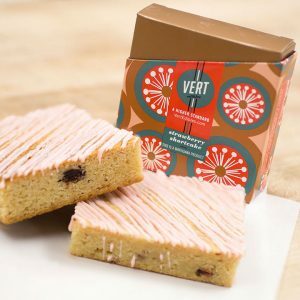 Rather than sit around on dry shelves, VERT insists that their products are refrigerated to maintain that ideal texture and flavor they worked so hard to create. 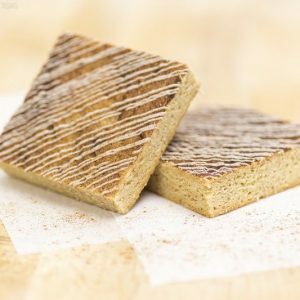 Try their inspired Snickerdoodle Cookie Square! EDIBLES should be effective! Edibles are a very popular option in dispensaries. Many health-conscious consumers prefer edibles over smoking or vaping. And many people who use cannabis as medicine use edibles to give them the proper dose. VERT Edibles sources only the cleanest, most potent concentrates to infuse their edibles. 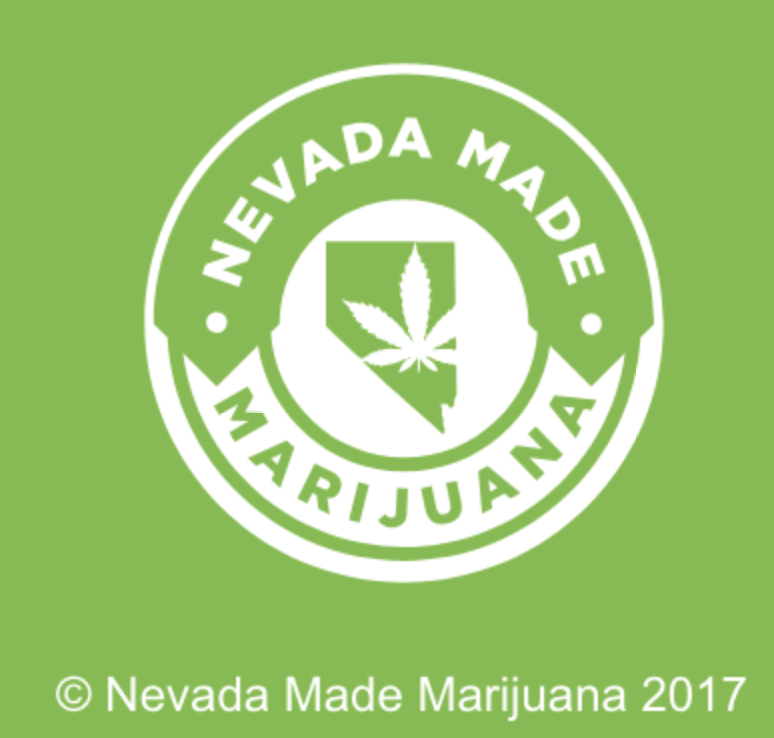 Nevada has some of the most strict product cleanliness requirements in the nation, and VERT exceeds even these. They hand select each batch of concentrate like they do each block of chocolate. Specifically, they're looking for freshness, potency, and consistency. They understand that consistency is key to delivering a perfect product every time. This consistency also lets them perfectly dose each edible. VERT fans love knowing that each portion will deliver the perfect effective dose of cannabis. 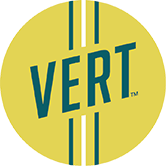 Visit VERT's website to learn more about all of their incredible products. Or, if you just can't wait, click here to order some right now!